The lives of shepherds in the Gobi desert follow a steady rhythm, with the skills necessary for survival (sheering camel hair and braiding it into rope, milking goats and boiling it into a cream, recognizing sandstorm weather and battening down tents) executed with such precision and calm that even such a hard life can be peaceful and content. The story focuses on the birth and first weeks of the season’s last camel foal, a rare albino colt rejected by its mother after a long and difficult delivery. 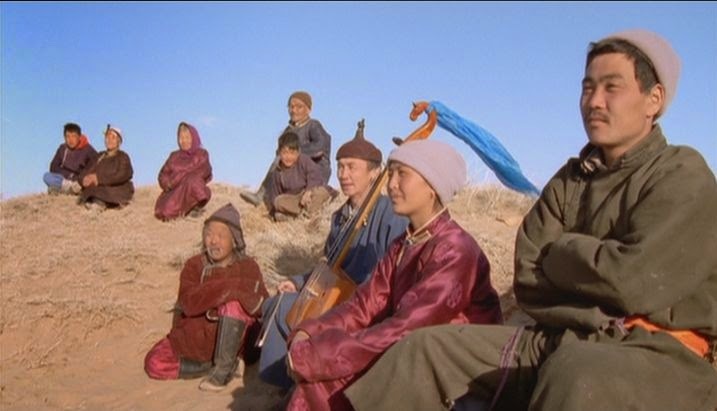 Since the mother will not let it suckle, the extended family of herders try a variety of measures to re-establish a parental bond before the baby starves, including binding the mother’s legs, milking the mother and transferring the liquid to the baby using a horn and having a group of lamas pray over the pair. Nothing works. 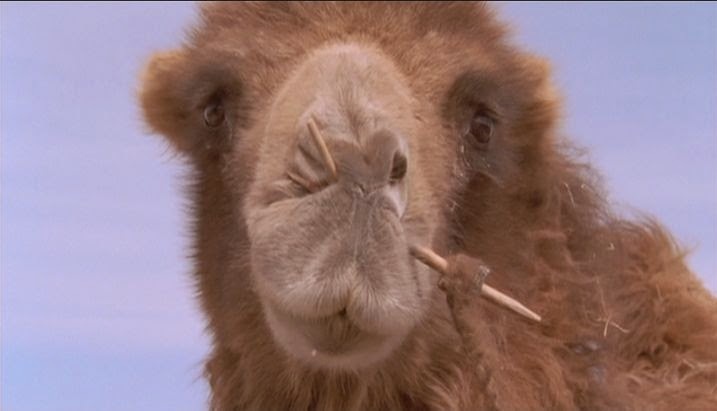 Eventually the two oldest sons, though still children, are sent to the nearest town to secure the services of a violinist so that a spiritual ritual can be performed to musically awaken the camel’s maternal instincts. 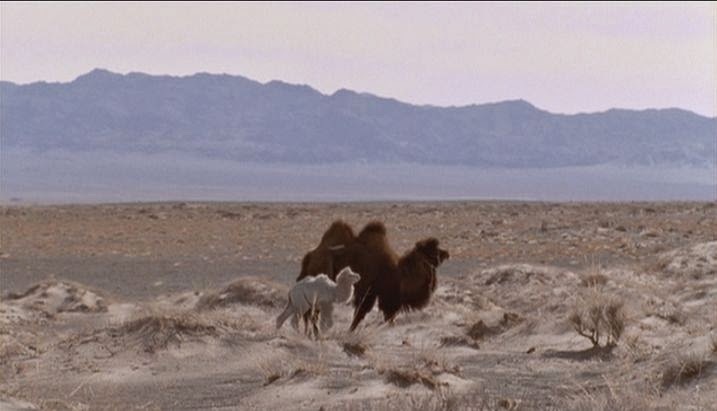 As strange as it is touching, The Story of the Weeping Camel is definitely not an obvious dramatic vehicle, and yet the mending of a mother-child relationship between these hairy humpbacked beasts is, at its best, both mesmerizing and emotional. There is a great deal of subtle craft and subdued controversy in director Byambasuren Davaa’s approach, which looks and feels like a documentary, but is actually a carefully arranged synthesis of live footage, re-enactments and scripted sequences. Her results are so natural and unforced that the film’s essential honesty and compassion come through, although the viewer often lacks a translator to help explain what is going on and why; a decision that I both liked and disliked. 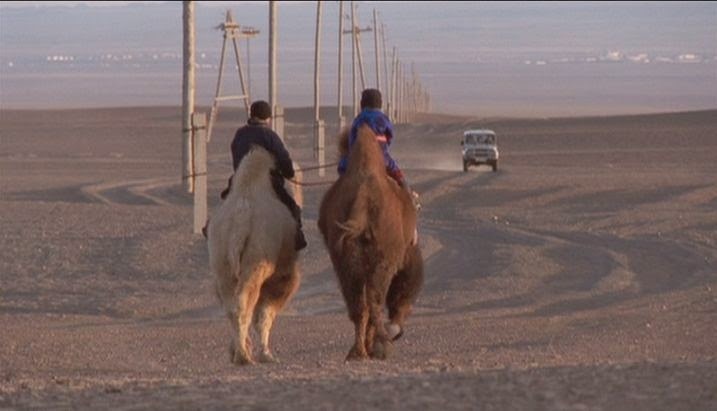 The upside is that one is rarely, if ever, distracted by the telltales of film production, allowing us to become deeply invested in such a distant and remote problem, the nursing of a baby camel somewhere in Mongolia’s vast wasteland, to an extent unlikely in either traditional documentary or fictional treatments. 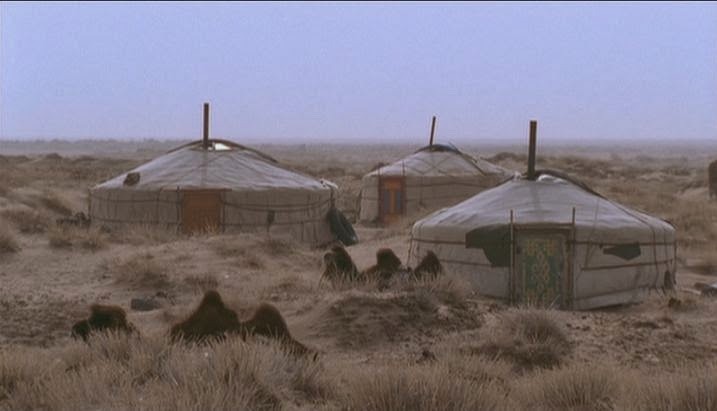 The downside is that Weeping Camel puts a great deal of emphasis on the slowness and simplicity of life on the steppe, qualities that are necessary to capture the pace of nomadic life, but which will likely stretch the attention span of even sympathetic viewers.